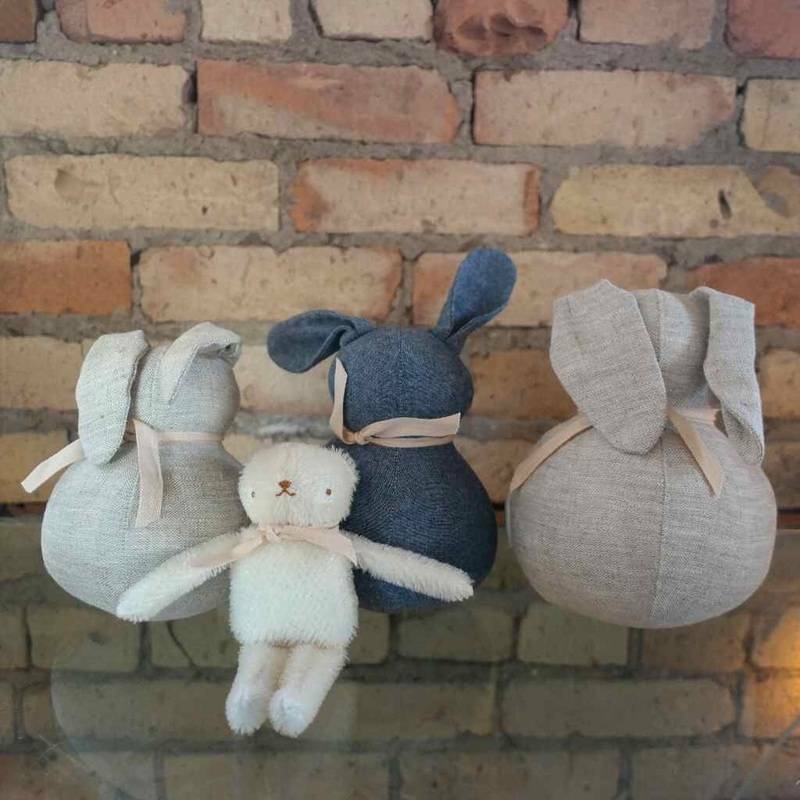 POLKA DOT CLUB'S FOUNDER AND ARTIST JENNIFER MURPHY MAKES THESE SWEET MOHAIR ﻿BEARS﻿ AND LINEN BUNNIES SPECIALLY FOR US AT THE FOUNDRY. MADE IN A HERITAGE TRADITION, JENNIFER USES THE SAME MATERIALS AND TOY MAKING TECHNIQUES THAT WERE USED FOR THE FIRST TEDDY BEARS, OVER 100 YEARS AGO. YOU CAN LEARN MORE ABOUT POLKA DOT CLUB HERE, BUT YOU'LL ONLY FIND THESE BUNNIES AND SPECIAL LITTLE BEAR HERE AT THE FOUNDRY! AND YES, WE'VE NAMED THEM ALL, SO YOU'LL HAVE TO STOP IN AND MEET THESE CUTE LITTLE FRIENDS AT THE SHOP!